To be discriminated against in America is so common that those who live in the wake of it come to expect it in some form or another daily if they are awakened to see it. In fact, to be black in America is rough, difficult to be so; however, the problem is not the people who are progenitors of racism and discrimination it is the people who believe themselves equal to the whites perception of themselves. This is not to say that in any way should so called blacks be continually mistreated, or to place themselves in harms way; however, to come to a realistic view and see that if white people see themselves as God in their own eyes, and they rule the country—then also in their eyes every single person that comes to America willingly or not is considered to be, or should become a servant. Consequently, there is a problem with thinking that everyone should be a servant, and the problem with that thought is those who feel that way have a tendency to mistreat people. Another view is that people who are descendants of slave owners typically have a mindset that America, the nation is theirs because they built it, and that if their money paid for the country to become great; then regardless of how they came about that money while committing immoral acts against mankind in their minds they are God, that is, God has the money, God owns the land, God writes the policy, God is America’s Dream, and because of this thinking of themselves as God by the white people others should just look over the fact that GOD is racist. In this article there is discussion concerning current policy in regards to civil rights initiatives so called blacks pursuit to become like God. Of course, today, with President Obama’s position as head of the country some people may consider that there is not discrimination any longer, or that the country has had a breakthrough since he took office, however, the election of a mixed race only adds fuel to the fact that Obama is half black and half God to the whites, or rather, a pawn to be used by those who to many in their own minds are GOD. In explanation, the CEO of the National Policy Institute, Sam Dickson (2014) spoke concerning the policy set during the writing of the Declaration of Independence for the country’s break with their motherland Britain, In his video, “America: The God that Failed”, he said that the section of the declaration which speaks about ‘inalienable rights’ was taken off the paper of Britain’s document and placed into the American one. In that he stated that “a man without a country” cannot possibly have the type dedication to the cause of those who call America their home and built it (Dickson, 2014). Speaking frankly, Dickson is saying that no one can be equal with God–one nation under God rule. The Civil Rights Act of 1964, was created from legislature in the First Amendment to the United States Constitution that mentions rhetoric such as ‘alienable rights given by God—life , liberty and pursuit of freedom’, and ,’ all men are created equal’; however, at the time of the signing did not include blacks. Further, a realistic view of this is that no one can be what God says he is not—equal or otherwise, and it is a fair statement to say that words written by God becomes law. Consequently, here one should be reminded that the three-fifth human clause has yet to be amended. It is the case that great strides have been made as result of rallies of civil disobedience to God, and notably the subservient blacks did not ask for much. A local auto parts company is hiring for a management position. After the interviews, however, the Human Resources Department has narrowed the search for a manager down to two candidates who both hold the degreed status required for the position, and they both have the required amount of management experience needed– their names are Christopher Columbus, and Michael Spears. Hence, unable to decide between the two the hiring manager calls both in for a second interview. In the interviews; however, no salary is ever discussed, but in a meeting between the hiring manager and her boss is where the salary for the position was initially decided that the position would pay $32,000 per year. Additionally, after the interviews the team decides that they will not hire Christopher Columbus and call Michael in for a third and final interview where they will offer his package at that time. Subsequently, at the interview they tell Michael that the position pays $10.00 an hour which is $19,200 per year instead of the $32,000 a year that the hiring managers had previously planned to offer. Hence, this begs the question and asks why? It is the case, that not only is Michael an African American but the team sees that as a chance to save money, and decided that he has the skills needed to fit the job description; however, their decision to not pay him equally as unto the white candidate because of his race is discrimination. How unfortunate, that anyone living in a country as great as America would be subjugated to such biases and discrimination, and one could say that the white man was discriminated against as well, however, the opportunity will await the white over black in greater measure. Moreover, this type discrimination is difficult to prove and applicants should obtain the ability to seek out information regarding pay in a field or for positions before applying. Generally, however, in the interview applicants are discouraged from raising questions about pay before the subject is brought up. Hence, this occurrence removes any chance of the applicant being warned concerning the agenda against them. In his address concerning women and equal pay discrimination, President Obama stated that unequal pay is not just a woman’s issue but a family issue and the aforementioned scenario addresses that more so, because men are still the heads of the household in many cases, and although in so called black families there are women who are forced into the role of head of the house there is a need for men to be paid as much as white men in the workplace so they too can take care of their families. Because while this bill bears her name, Lilly knows this story isn’t just about her. It’s the story of women across this country still earning just 78 cents for every dollar men earn – women of color even less – which means that today, in the year 2009, countless women are still losing thousands of dollars in salary, income and retirement savings over the course of a lifetime. But equal pay is by no means just a women’s issue – it’s a family issue. It’s about parents who find themselves with less money for tuition or child care; couples who wind up with less to retire on; households where, when one breadwinner is paid less than she deserves, that’s the difference between affording the mortgage – or not; between keeping the heat on, or paying the doctor’s bills – or not. And in this economy, when so many folks are already working harder for less and struggling to get by, the last thing they can afford is losing part of each month’s paycheck to simple discrimination. So in signing this bill today, I intend to send a clear message: That making our economy work means making sure it works for everyone. That there are no second class citizens in our workplaces, and that it’s not just unfair and illegal – but bad for business – to pay someone less because of their gender, age, race, ethnicity, religion or disability. And that justice isn’t about some abstract legal theory, or footnote in a casebook – it’s about how our laws affect the daily realities of people’s lives: their ability to make a living and care for their families and achieve their goals (Obama, 2015). Notably, the pursuit in the fight to be equal to God is ongoing for both genders of the black race, and future policies should reflect change in the areas of: (a) three fifth human amendment, (b) raising the minimum raise, (c) equal fair pay for black men and women, according to their educational level, and more thought and effort placed on anti-bullying legislation to include police brutality. In the strides to become equal to God, blacks have not gained strides equal to whites in the fifty plus years of the Civil Rights Act of 1964 execution. Moreover, in the shadow of the attitude of whites in America blacks made a huge mistake in the supposed fight of equality, that is, that God cannot accept the people who they crossed the Atlantic to steal them from their families, a people of culture, of a continent of African people who were sold into slavery. In addition, so called blacks would be wise to remember that in the eyes of America the slaves cannot be equal to their master whether in education, the workplace, health or welfare, that the servant is not equal to their God, and pursuit to find a place equal is for the white man a dream but for the black man in America who covet such a place has become a nightmare. That a said the pursuit continues. 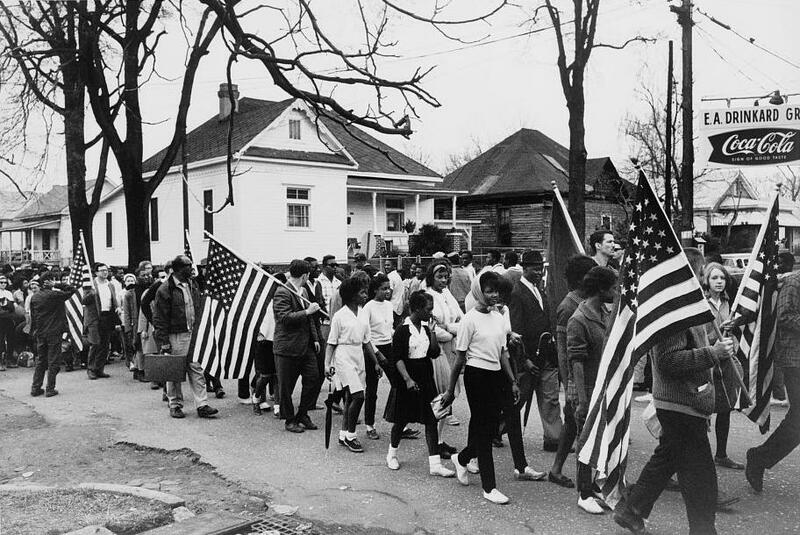 This entry was posted in Business Law and Ethics, Civil Rights, Community, Crime and Business, Uncategorized and tagged Africa, African American, African people, America, American, American Dream, Black people, Children, Christian, Christianity, Civic Journalism, Civil Rights, community, Crime, Culture, Education, environment, Opinion. Bookmark the permalink.